Salem Lodge was organized when the town of Salem was a very small village, immediately following the Civil War. 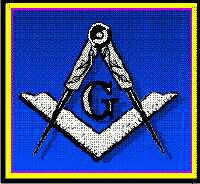 The original Charter dated December 10, 1868 occupies a very prominent place in the Lodge. Stated Communication is the First Tuesday in each month. Salem Lodge along with the other four local Lodges, Winston #167, Pioneer #685, Forsyth #707 and Piedmont #711 meet in the Masonic Temple at 34 Miller Street S.W., a new and modern building designed for and occupied by Masons. This is an unofficial Home page for Salem Lodge. Any opinions expressed are mine alone.